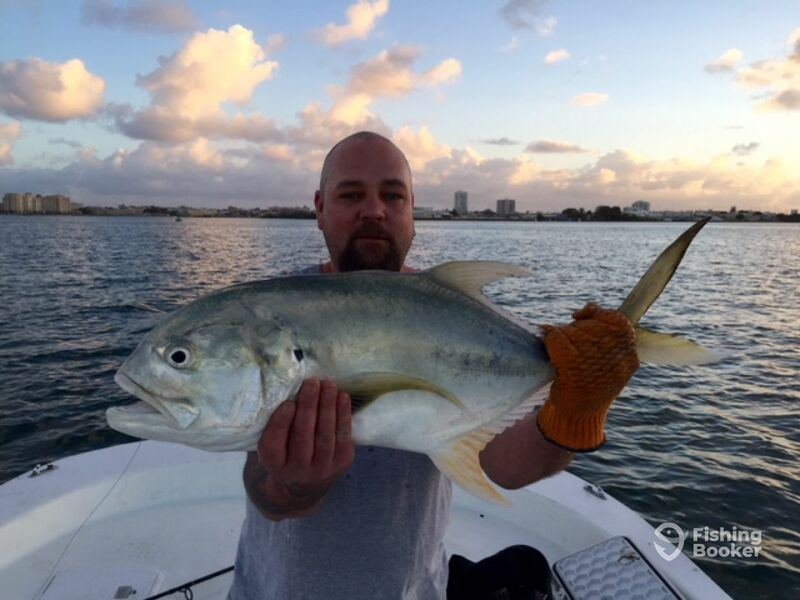 February 02, 2015 by Luis Umpierre Jr. and Luis Umpierre Sr.
Congratulations to Dusty and Vicky but special kudos to Vicky for such a great fight against one of the hardest pound per pound fish to land found at the San Juan Bay, Puerto Rico, the Yellow Jack Crevalle. As she mentioned, It was the biggest and hardest fish fight of her life yet. They finish the morning landing 2 fish out of 6 bites between Jacks and Tarpon on their 4 hour outing with us. Thank you for allowing us to serve you Vicky and Dusty and hope to see you again soon here at Bayside Fishing Charters.